New laws may cause foreign-funded Russian NGOs to lose $630 million in sponsorship revenue, the Ministry of Economic Development admits. Authorities insist that the new measures are not aimed at undermining the financing of NGOs, while critics believe some organizations were right to be concerned and move their employees abroad in response. After 20 years in Russia, the U.S. nongovernmental organizations National Democratic Institute (NDI) and International Republican Institute (IRI) have closed down their local offices. Amidst fears of persecution under new NGO laws adopted at the end of last year, the two organizations relocated seven of their Russian employees and their families to Lithuania. “Law enforcement officials hinted that the new law on treason leaves a lot of leeway for interpretation and that they could use that, shall such a need arise,” said employees of the U.S.-based NGOs. One of the NDI employees that have fled Russia recalls the frequent visits that the FSB (Federal Security Service) agents paid to the NDI and IRI. “Having learned that we were being threatened with charges of treason, the company’s executives suggested that we leave the country and arranged for our relocation to Lithuania,” an NDI employee anonymously said. For the time being, the NDI and IRI’s Russian personnel are staying in Vilnius, where they have applied for work visas. “We are afraid that they [Lithuanian authorities] won’t agree; they don’t exactly want another conflict with Russia – the country that supplies them natural gas,” employees at the NGOs said. If worse comes to worst, the exiles may have to consider the option of seeking political asylum in other EU member states. Activities pursued by the NDI and IRI in Russia were focused on programs promoting democracy. The NDI in particular had been providing consulting services for the independent election watchdog Golos since the year 2000. The Golos association has already lost the support of one of its U.S. partners, as the United States Agency for International Development (USAID) was forced to withdraw from Russia in September 2012. “If they really have evacuated their employees, then it means that they think the situation is alarming. I wouldn’t call this move unreasonable,” Carnegie Moscow Center expert Maria Lipman said. According to Lipman, there has been a wave of harsh criticism directed against cooperation with the United States recently, as well as the monitoring of elections and any political activities pursued by non-profit organizations. Russia’s Ministry of Economic Development estimates that this change of government policy on nonprofit organizations may cause a 9-billion-ruble ($631 million) loss in that sector of the economy. The withdrawal of major donors from Russia is one of the reasons that the country’s NGOs will lose these funds in 2013. 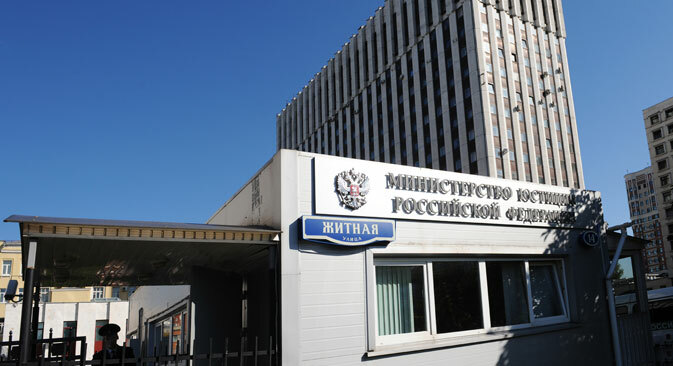 “Many donors who were considering the possibility of returning to Russia are now hesitant, and a number of potential new sponsors are already revising their plans,” said member of the Presidential Council for Civil Society and Human Rights, Yelena Topoleva, commenting on the outcomes of a recent closed, joint meeting between the Presidential Council and the Ministry of Economic Development. At the same time, Topoleva noted the 3 billion rubles ($99 million) in aid that will be provided to NGOs by the president in 2013. In addition, the Ministry of Economic Development plans to allocate several millions more to support NGOs until 2015. The Ministry of Economic Development has also developed a number of measures aimed at “increasing the support of socially oriented NGOs for the period through 2018,” which implies lightening the tax burden for not-for-profit organizations and their sponsors. Still, human rights activists doubt the tax cuts will change the situation. “I don’t think any businessman would want to take the risk of financing an organization like Agora or us,” Aleksei Glukhov, head of the “Shchit i Mech” (Shield and Sword) human rights organization, said. Duma Deputy Sidyakin does not see any connection between the legislative amendments and the situation with NGOs. “Some of them lost part of their funding due to the withdrawal of donors, others lost funding for different reasons, but nobody in Russia is trying to undermine the financing of NGOs,” the deputy said. Meanwhile, the Ministry of Justice had reportedly developed a number of amendments to the NGO laws, extending the grounds for extraordinary inspections not only of “foreign agents,” but also of organizations that are funded by Russian sponsors exclusively. Currently, the Ministry of Justice may initiate an extraordinary inspection of “foreign agents,” following a request submitted by an individual or a legal entity. It may also act on the basis of media reports indicating “the presence of signs of extremism in activities pursued by a given NGO,” as well as in pursuance of a Minister of Justice’s order issued “as per the request of a prosecutor upon the receipt of certain materials and appeals by prosecution offices.” The Ministry of Justice has suggested extending the grounds for such an order to include the president's or government's instructions.